The mileage on this vehicle was correct at the time of valuation. Swift Mondial GT 2 Berth. 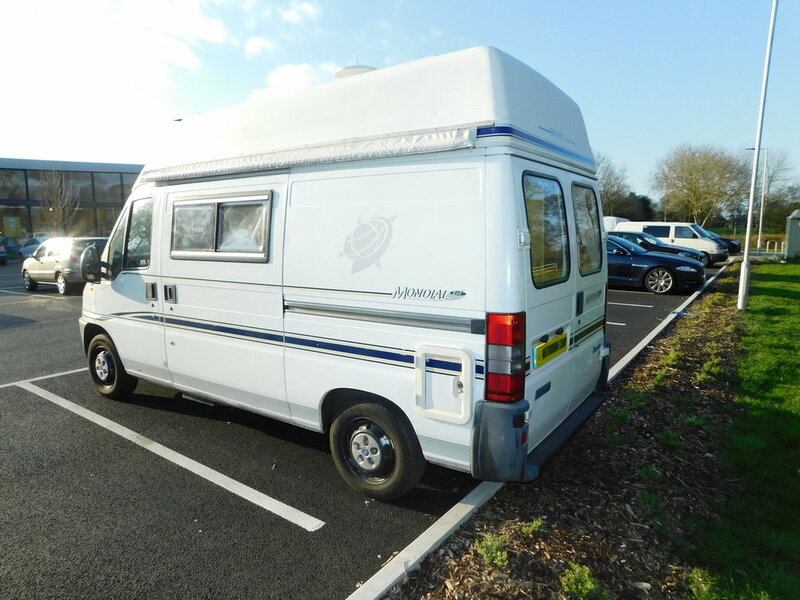 2001 Campervan, Motorhome with Only 49,000 miles from New. Fiat 1.9td with Power Steering. Well maintained and cared for. M.O.T till March 2020. Located in Hayling Island, Hants. There are a total of 3 three point seat belts. Featuring a bright contemporary and clean fabric. 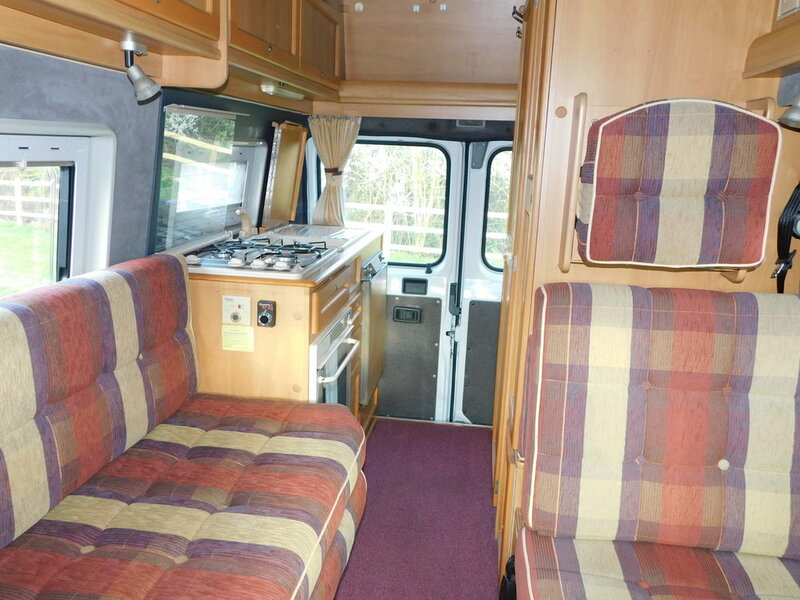 We have a comfortable roomy side sofa and an additional forward facing seat that has the rear seat belt fitted. The front passenger seat swivels to become part of the Lounge and Dining area. The Lounge easily coverts to a Large Double Bed. We also have a large Sunroof, as well as Double Glazed Windows all round with built in Privacy Blinds and Fly Screens. There is also Central Heating and Hot water. 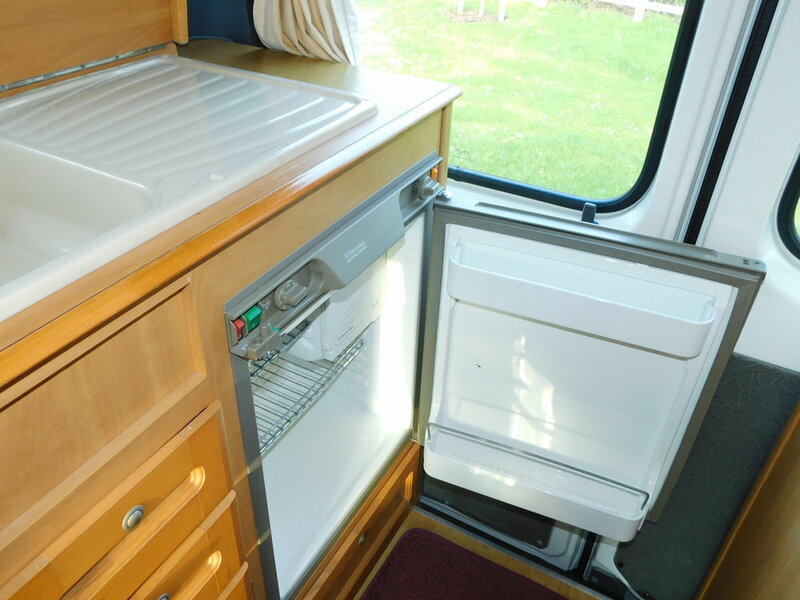 The Spacious Kitchen has an Oven, Grill, 3 burner Gas Hob, and a Sink with a drainer as well as a Fridge with a Freezer Box. 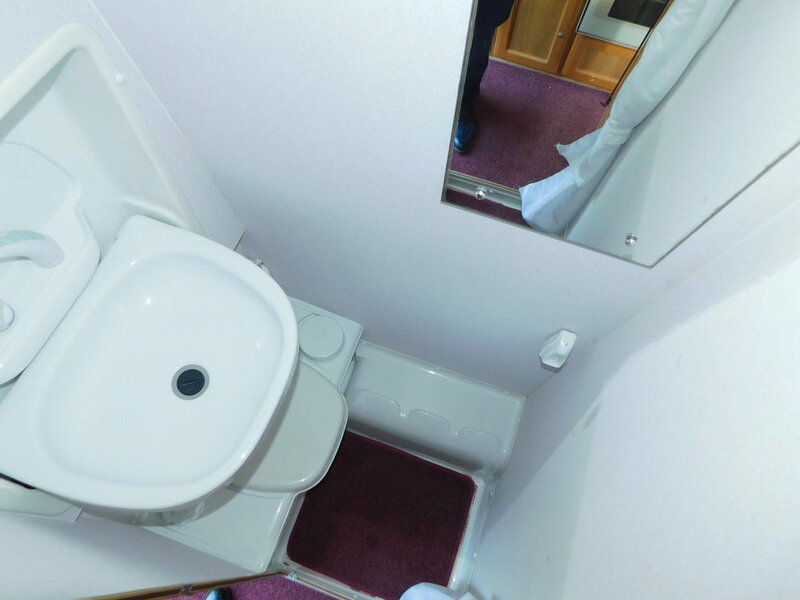 The Wash room has a Toilet with a Thetford cassette, as well as a Folding Wash basin and a Shower. The Washroom door has a folding privacy screen to create a rear dressing area. Please note that the photos were taken prior to the Mondial being prepared for sale, and I have booked it in to be fully valeted. This Lovely Compact but Spacious Motorhome is easy to Park and Drive. This can be driven by drivers of all ages. I would be happy to consider any Part Exchange that you may have. Please give myself Stephen Delaney a call on 07736 001880 to discuss further and to arrange an appointment to view. Email us or request a callback!